Approaching a Mel Gibson film these days is, at best, tricky. His apparent views on certain issues having been made very public, it's hard to approach a film of his without that knowledge adding a certain filter to what you're watching. This is especially true with Hacksaw Ridge, his first directorial outing in ten years. During his time away for reasons unspecified, we have come to learn certain things. To say making his return with a WWII epic is brave is an understatement. Having not seen any trailers or wotnot before going to see a preview screening, I was delightfully unaware of what was in store. To be honest, I'm not sure knowing would have made this any easier to watch. The film centres on Desmond Doss (played beautifully by Andrew Garfield), a conscientious objector who decides that his unwillingness to handle a gun should in no way impede his desire to serve. On the face of it, an interesting film about morals and circumstance. Once you get past the opening 10/15 minutes. I remember a friend telling me, many years ago, about a screening of Saving Private Ryan he was at where the opening sequence silenced a group of rowdy teenagers with impressive speed. I imagine had they been subjected to the opening of Hacksaw Ridge they'd have been treated for shock and trauma. To say Gibson pulls no punches is an understatement. Bodies are killed in a wide variety of ways - shot, burned, blown up, stabbed, you name it - and all is played out in brutal close up. His desire to bring the brutality of war right into your face is both slightly disturbing and, given where the story takes us, very interesting. That said, you can't fault the shooting (should probably find another term there...) of the sequences. What could be messy and all over the shop has clarity and focus. At no point are you left wondering what you're meant to be looking at. Once we're over that, through flashbacks we're introduced to Doss and his family and his story is told. For about an hour. And this is a very nice hour. Hugo Weaving is nothing short of amazing as Doss Snr, while Teresa Palmer is note perfect as Doss' sweetheart Dorothy. Sam Worthington is also worth his time on screen. Sure his character is slightly cliched and one-dimensional at times, but Captain Glover is never portrayed with anything less than total conviction. There's even a guy who delivers meaty performance as Doss' Sgt. And it takes you a while to work out what's so disconcerting about the performance. Vaughn is a revelation here. Not only is he not the annoying toxic presence we've become so used to, he's bloody brilliant. How Gibson pulled that from him is anybody's guess. Sadly, however, it is Vaughn's lot to deliver one of the first 'moments'. The film is set in '45. I get that. It was a different time. I get that. There was a war on. I get that. But it still jars to hear certain racial slurs. And it's not just because of my lefty ,liberal sensibilities. It's because you know who the director is. I've spent a lot of time dwelling on this - probably more time than is good for me - and I'm 99% certain that, under a different director, the words wouldn't sound quite so harsh and loaded. In fairness to Vaughn, he doesn't look totally relaxed delivering them either. The second half of the film is brutal. And relentless. To the point that you actually feel like you were up on that ridge with the American soldiers fighting the Japanese. And not in a gung-ho nationalist pride way, but as in you can feel the mud and dirt, you can't unsee the slaughter and carnage (which is laid bare). By the end, you feel exhausted and drained. And you were just sitting in a comfy chair in a darkened room. It's to Gibson's credit that he creates scenes so vivid you feel physically affected by them, but at the same time it feels like he's almost revelling in it. The film is almost two-and-a-half hours long, and while the first hour feels long, the rest of it feels endless. Seriously, how many different deaths do we need to see? In a "normal" war film, it might not feel quite so bad - but when we're dealing with a main character who feels he is obeying his God by not carrying a gun in battle, after a while certain questions start to bubble up. On the one hand, he could be really labouring the point of what this very particular war hero did for his country - and in fairness, his efforts were almost super human. But there's a part of you that can't help but wonder about the message of this being a Christian God Doss is praying to and working for (in his eyes), and these are foreigners that have to be killed. It's an unsettling thought to have, and again under a different director it's possible the thought doesn't even arise. And were it not for a few choice final scenes with the Japanese, I'm not sure the thought would even arise now. 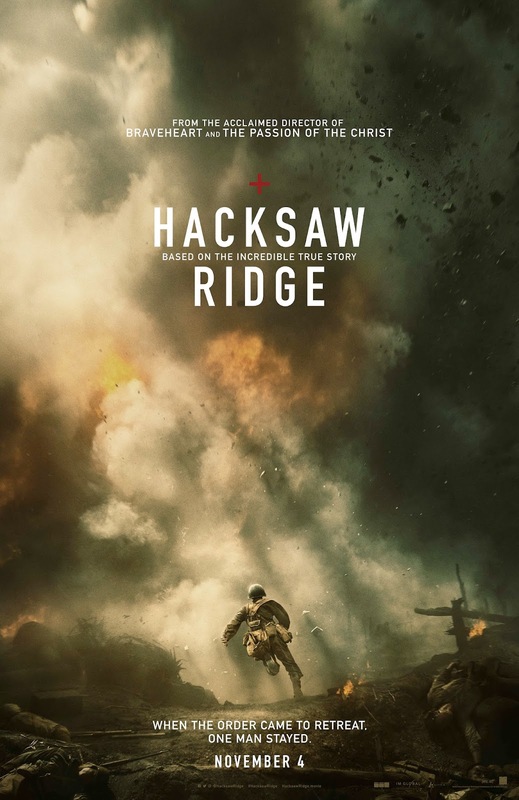 Gibson saves Hacksaw Ridge right at the end with some touching closing moments, which is good because up that point I was preparing to get checked in to asylum and get treated for shell shock. Away from the bits that make one squirm a smidge, Hacksaw Ridge is a well told, brilliantly acted, excellently filmed, compelling watch. I'm not saying if "compelling" is a positive or a negative, because I suspect everyone will have their own take on that, but it is a compelling watch. To make battle scenes feel that real is one hell of an achievement, just how necessary that is being another debate to be had outside. In daylight. With a beer or five. 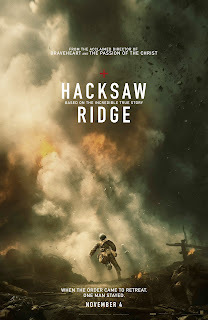 But, with everything that is - and could be perceived to be - wrong with Hacksaw Ridge, Gibson has brought out a series of stunning performances from an already talented cast. You go through Doss' journey with Garfield, caring about how he feels and the conflicts he faces and puts himself through. And Weaving's portrayal of an embittered, alcoholic survivor of The Great War is just wonderful. It's an important story that needs telling, and in some ways it restores your faith in humanity. I'm just not sure we needed to feel like we'd all been through the entire battle.